Metal Slug and The King of Fighters are just two of the memorable videogames brought to us by SNK and that can be enjoyed on Android. The world of videogames just wouldn’t be the same if it weren’t for SNK. The legendary company that gave birth to the Neo Geo console has gifted us with memorable works since the first moments of its existence. It’s hard to find someone who’s never played Meta Slug, Fatal Fury or Super Sidekicks. This company that’s focused mainly on arcade titles has made videogame history, and in the last few years, we’ve had the opportunity to play some of its classics, in different versions on mobile devices. 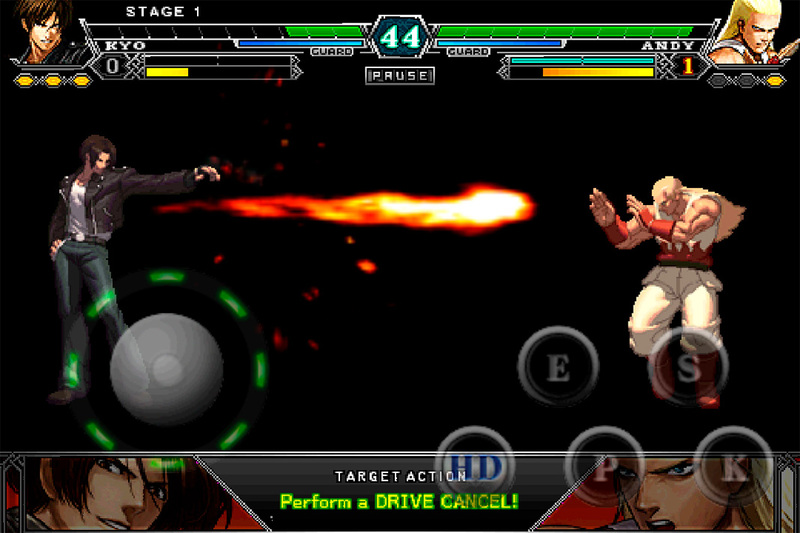 Thus, we’ve compiled a list of the best SNK games available on Android. The King of Fighters is, hands down, one of the most important fighting games that exists, along with Street Fighter. 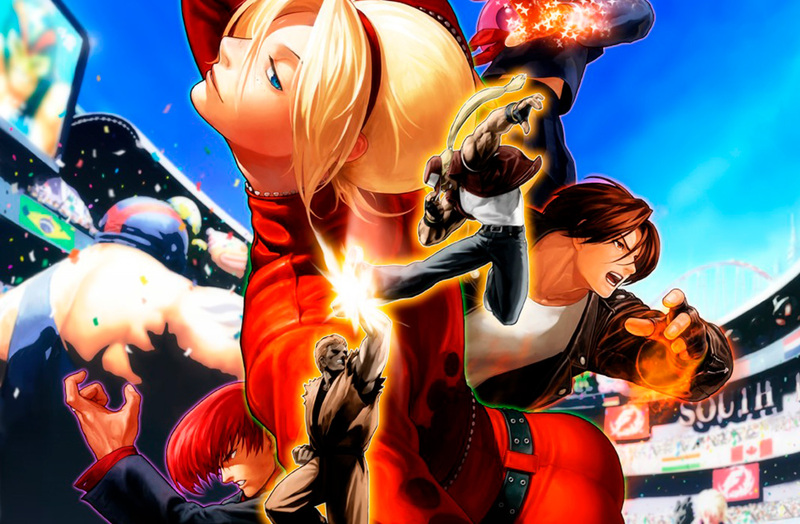 Since 1994, we’ve been playing this title that unites legendary characters from other SNK titles like Art of Fighting and Fatal Fury, along with new ones that already have a place of honor in our books: Kyo Kusanagi, Iori Yagami and Leona Heidern are unforgettable. 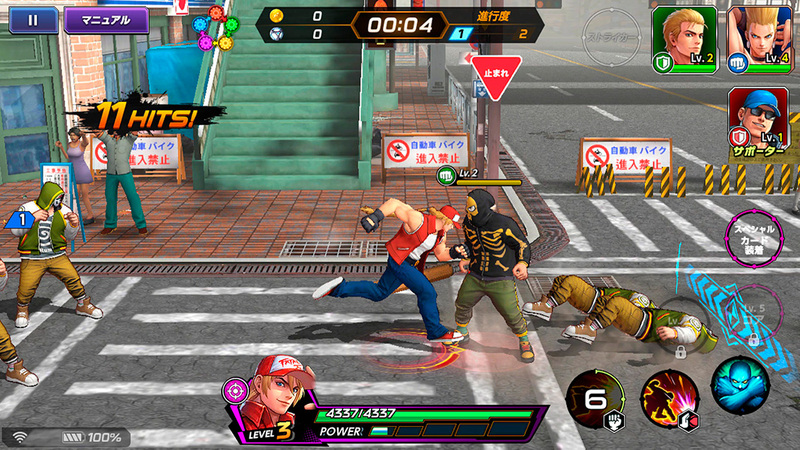 The Android games based on The King of Fighters have touched on different genres, but the closest experience to the original game can be found in The King of Fighters-A 2012, a fighting title that’s well-adapted for mobile devices. You can compete in the famous 3-on-3 combats or play in its story mode to become fully immersed in the dense lore that this franchise is built around. Of course, touchscreen controls can never replace traditional controllers, but at least they’re not too bad in this case. 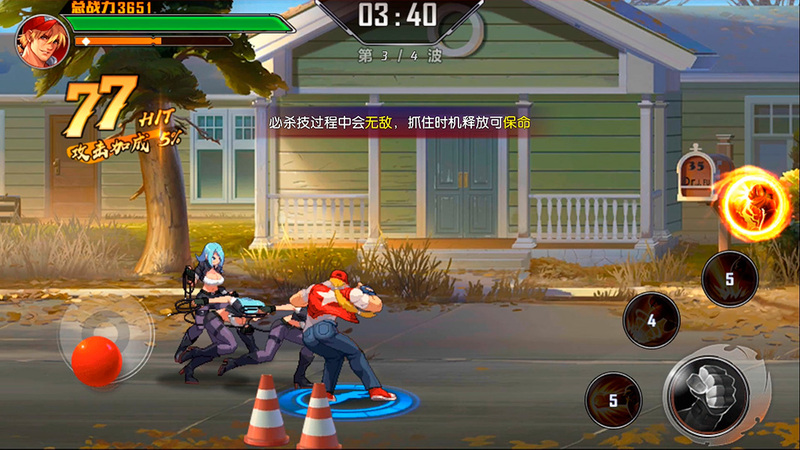 Following along the same line of punches being thrown left and right, we have two really fun beat ’em up games: The King of Fighters: Destiny, from Tencent, and The King of Fighters AllStar, from Netmarble. Both 2018 titles have similar gameplays and offer some really powerful production values. You can download both of these games from Uptodown without any geographic restrictions. In The King of Fighters: Destiny, the fun begins with the classic Terry Bogard, although you’ll soon be accompanied by the iconic Mai Shiranui or Joe Hihashi, to name just a few. You can look forward to short levels where you have to defeat hordes of enemies in the setting to continue on your way. It’s a game that couldn’t look better, thanks to its spectacular 2D graphics. THE KING OF FIGHTERS ALLSTAR is an outstanding title that brings the world of beat ’em ups to 3D without losing a single thing along the way. Spectacular attacks, a cast of legendary characters from the franchise, and a long campaign mode that seems to have an endless parade of characters. It’s a real gem that you won’t want to miss. 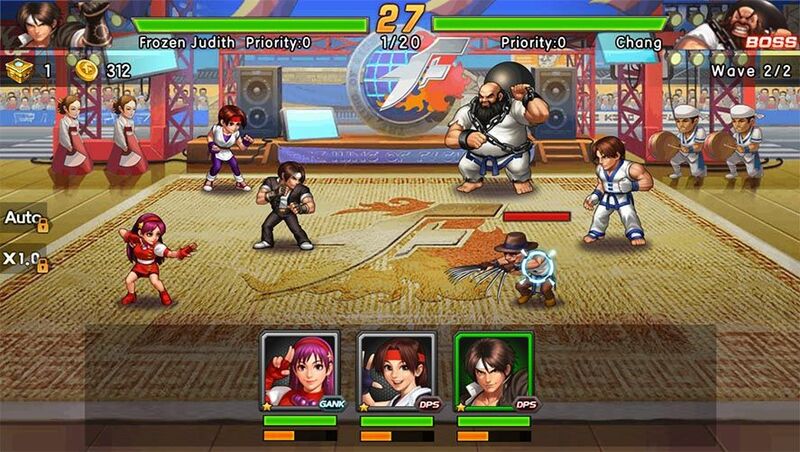 There’s no genre that can resist a version of The King of Fighters on Android, as seen in this entertaining MMORPG. 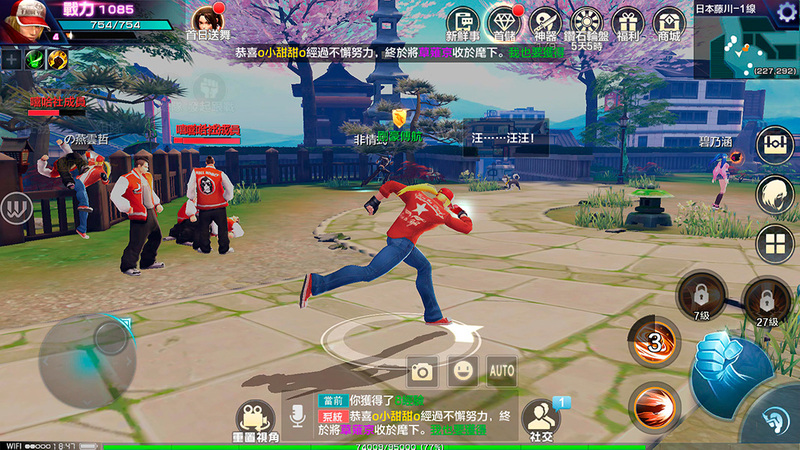 Yes, King of Fighters World is a massively multiplayer online role-playing game where you have to complete missions either on your own or with other players and attack old acquaintances from the saga. The same old, same old, but with a little extra charisma brought to you by KOF. It’s a really fun title that’s sure to thrill both fans of Terry Bogard, along with fans of continuous worlds. Not only is The King of Fighters 98 UM OL a title with some confusing use of acronyms, it’s also a turn-based RPG where characters from the franchise take on a ‘chibi’ style. Similar to other RPG works based on popular franchises (we’re looking at you, Saint Seiya), your objective is to get the best starting roster of characters possible. And you have more than 70 different ones to recruit. Its fun campaign mode is guaranteed to provide a good time, but it’s more of an excuse to become strong and face off against other players from all over the world in the PVP mode. After seeings this procession of random genres all based on a fighting game like The King of Fighter, there’s nothing better than to spice things up with a rhythm game. 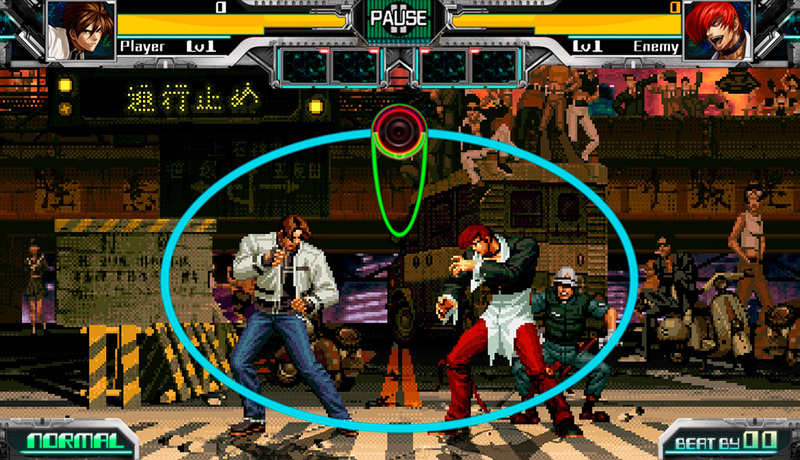 The Rhythm of Fighters has you face off against other KOF characters through hits on the screen, Elite Beat Agents-style. It’s a game where timing is everything in order to combine hits and become the victor in these strange duels. And it’s all accompanied by the most iconic music from the different installments of the franchise. It’s an interesting mix of genres that works surprisingly well. 1996 was the year that Nazca Corporation created the most important run and gun in history. Metal Slug has given us hours and hours of nonstop shooting. Not to mention the number of quarters we dropped in the arcade machine every time we died. It’s a fast-paced game where the enemies come at you from all angles and where the spectacular duels with the final bosses almost feel like they’re part of the family. The classic gameplay in Metal Slug hasn’t come to Android for free, but we do have a few tower defense games that are pretty fun and can quench your thirst for shooting and mechanized vehicles. 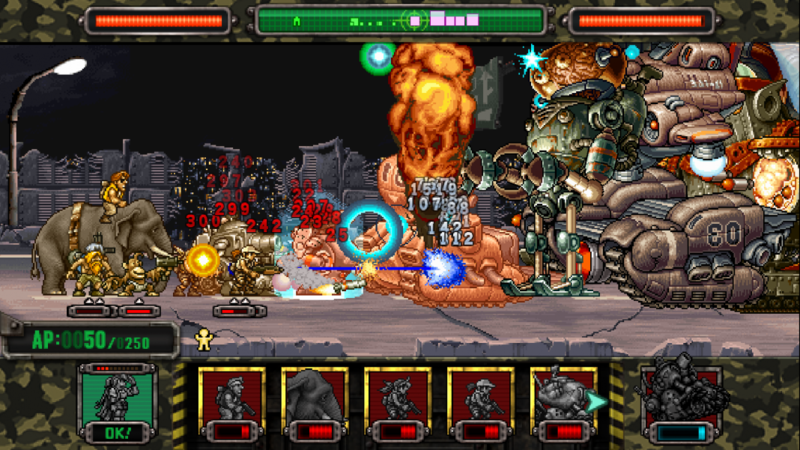 Metal Slug Defense offers more than 100 different levels where you have to destroy your rival by progressively calling on your units. The levels are more or less short, where the action ends in tremendous combats against final bosses from the franchise. 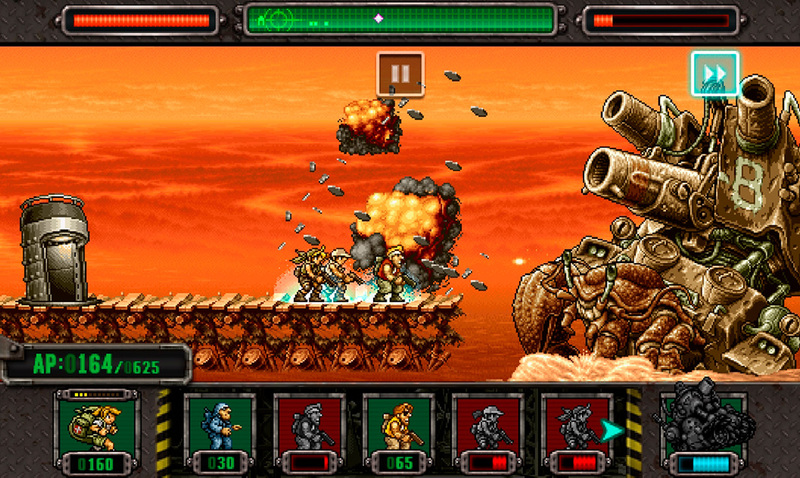 Metal Slug Attack follows in the “defense” direction with this sequel that follows the same idea: side-scrolling tower defense where you have to call on units to defeat your rival. This works the same in the long campaign mode as it does in the online battles against players from around the world. All in all, it’s a fun game that has just one fault: being too similar to its predecessor. The arrival of Samurai Shodown in 1993 brought weapons into play in fighting games. But if we were to leave it at that, it wouldn’t be fair to this great work set in a whimsical 18th-century Japan. One where you find a set of incredibly charismatic characters that offer special attacks that always worth enjoying in detail. Well, you actually have to be careful with this last part if you don’t want to lose the game too quickly. This videogame saga has been stagnant since before 2010, but it seems like in the last few years, it’s coming back into the limelight and games like Samurai Shodown – Blood Sword are good proof of that. 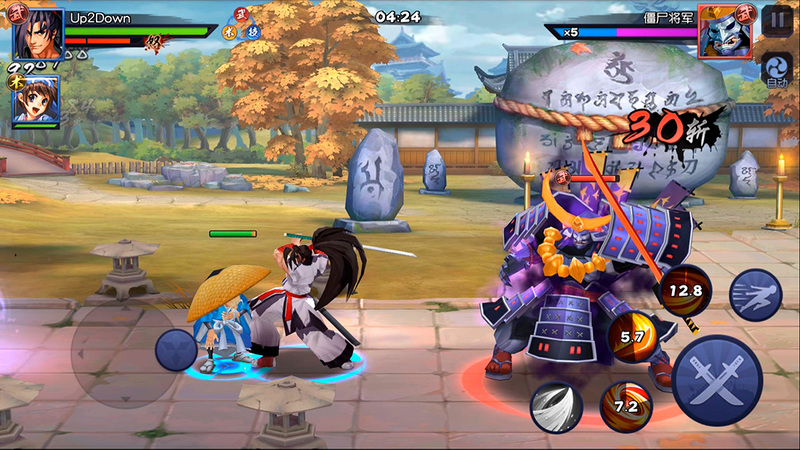 So it may not be a traditional fighting game, but it is a beat ’em up with impressive visuals that brings back Haohmaru, Hanzo, and friends. Samurai Shodown: Legends of the Month of the Moon is a game for anyone who’s looking for a different experience. It’s a traditional MMORPG that comes complete with the fantastic settings from the saga and a cast of classic characters from the franchise. The combats are great, especially when it comes to fighting against the final bosses.